Tail docking in dogs is now illegal in most countries. Mexico, a few Asian countries and some pockets in Africa still allow it. In the USA, professional veterinarian associations are standing up against it and individual states are beginning to consider banning the act as well. The tail is part of the spinal column comprising approximately 20 coccygeal vertebrae, muscle, nerves and a blood supply. The muscular structure plays an important role in body shape, function and communication. The tail is used as a counterbalance in various locomotory activities: running, walking and squatting to defecate. Docking is a surgical amputation. This procedure involves cutting or crushing a puppy's skin, muscles, up to seven pairs of nerves, bone and cartilage. It is performed without anesthetic when the pups are just days old. At this age they can feel pain and research indicates they do so at a greater intensity than adult dogs. The reason for this is because the ability to suppress pain develops with age and experience. When pain is felt, it is the result of nerve impulses going to the brain. The pain-transmitting nerve impulses can be reduced in intensity by a second group of 'inhibitory nerves'. These 'inhibitory nerves' reduce the severity of the 'pain message'. This process works well in adult humans and animals to reduce pain sensation. However, in puppies, the pain inhibitory pathways are not well developed. 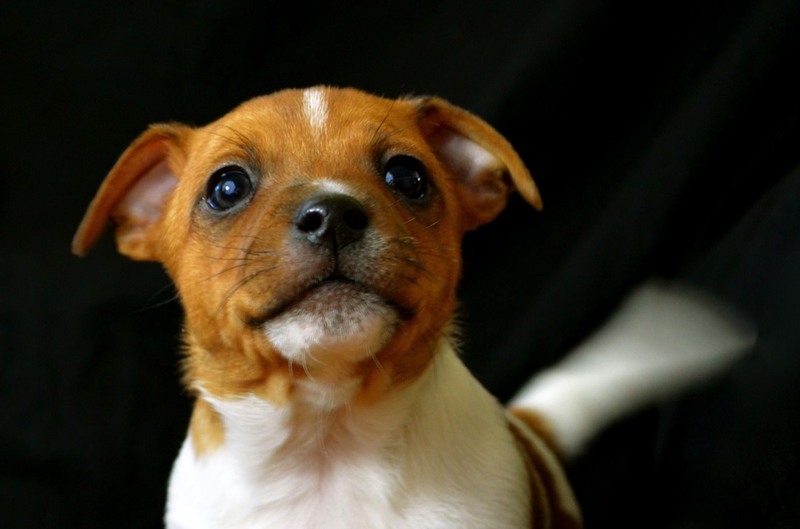 So, instead of not feeling as much pain as an adult animal, a pup is likely to feel more pain. The pup is an innocent victim as it cannot express fully the pain it is feeling. There is now scientific evidence showing that puppies feel pain during the process of docking. 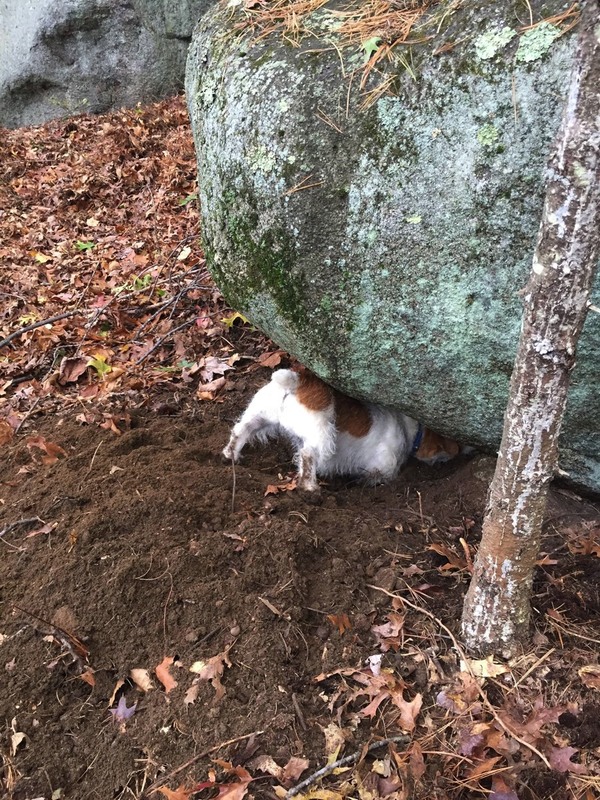 LIFE LONG IMPLICATIONS: The tail is used to communicate the mood and attitude of the dog: its emotional state, assertion of social status, acceptance of a subordinate or equal position, or willingness to fight. Further, the use of the tail to communicate is essential to a dog’s well being. Studies have proven that dogs with docked tails and cropped ears are more likely to be misread by other dogs and end up in confrontation. If you agree with docking, a proper dock involves only removing the tip of the tail. Every dogs tail is different but on average, a natural tail is roughly only 2-3” longer. 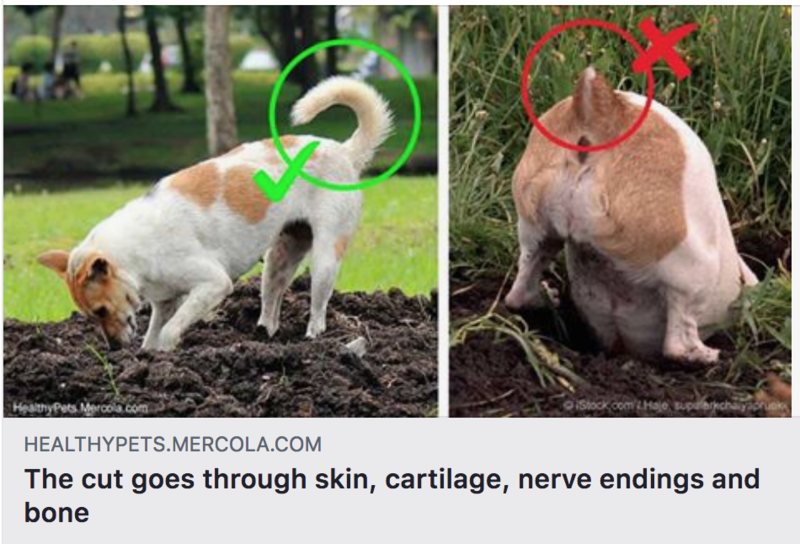 A bobbed tail on a JRT is nothing short of a butcher job by someone who doesn't know what the breed standard is (if you agree with tail docking). Olivers Mom in Utah loves his natural, bushy tail. 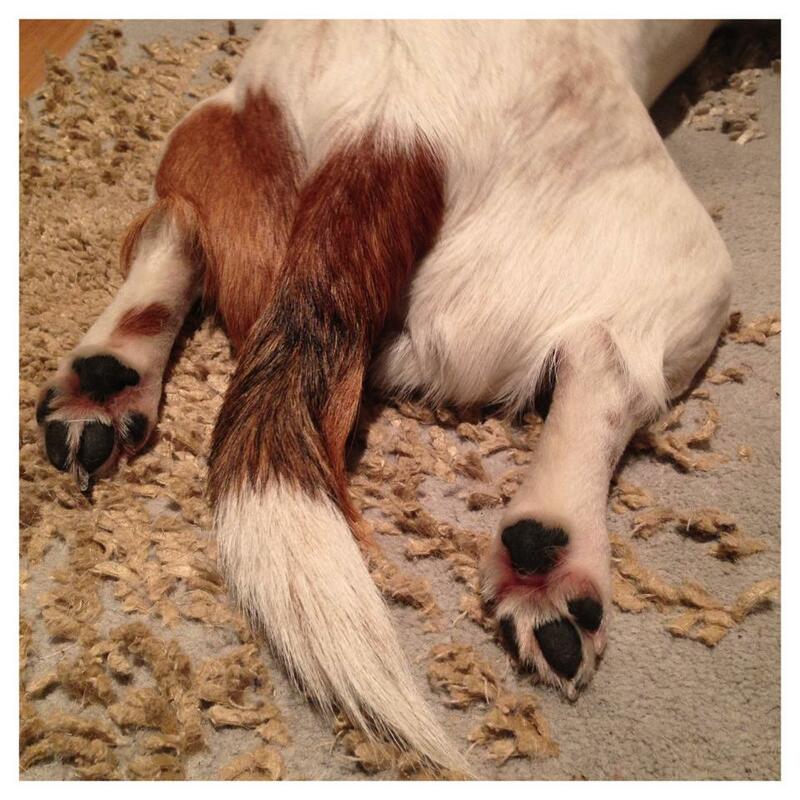 We believe that jack russell do not need their tail docked. Mics Mom in New Jersey chose us because she wanted a puppy with all his extremities. "Clancy" was one of the few puppies we docked in our early years. We soon realized it wasn't necessary and decided to do things our way. 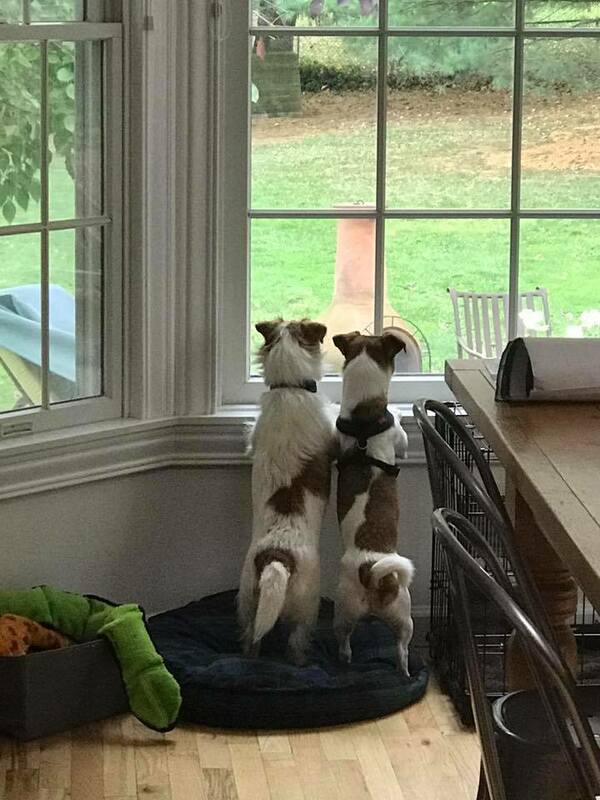 No more would we dock the tails of our jack russell puppies.